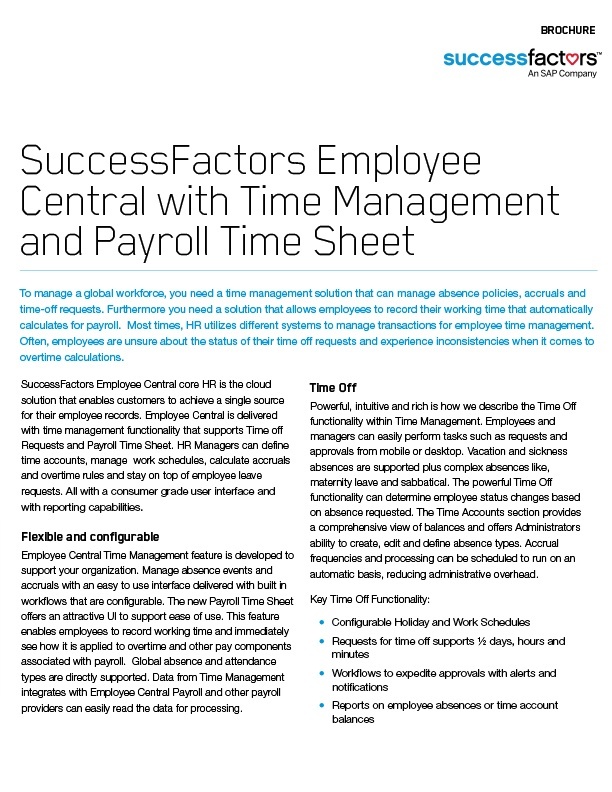 SuccessFactors Employee Central core HR is the cloud solution that enables customers to achieve a single source for their employee records. Employee Central is delivered with time management functionality that supports Time off Requests and Payroll Time Sheet. HR Managers can define time accounts, manage work schedules, calculate accruals and overtime rules and stay on top of employee leave requests. All with a consumer grade user interface and with reporting capabilities.